Of course, gumbo is the quintessential New Orleans dish. If you don’t have a big, ole gumbo pot, go get one. Doesn’t have to be fancy. Just big enough to hold about 4 gallons of liquid. 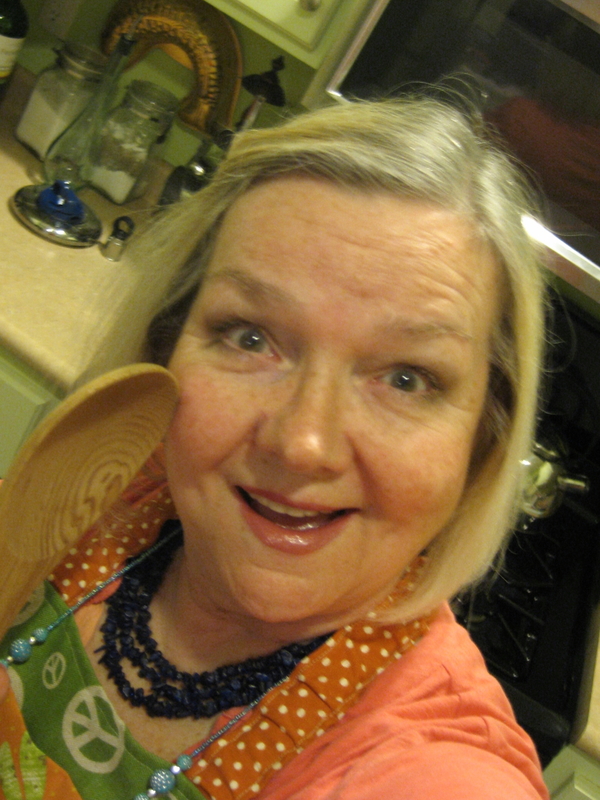 I also use my gumbo pot to mix up other big recipes, especially Thanksgiving dressing and to brine my turkey. If you have such a large pot, you will find a lot of uses for it. Don’t make too great an investment, though, unless you just want to show off. 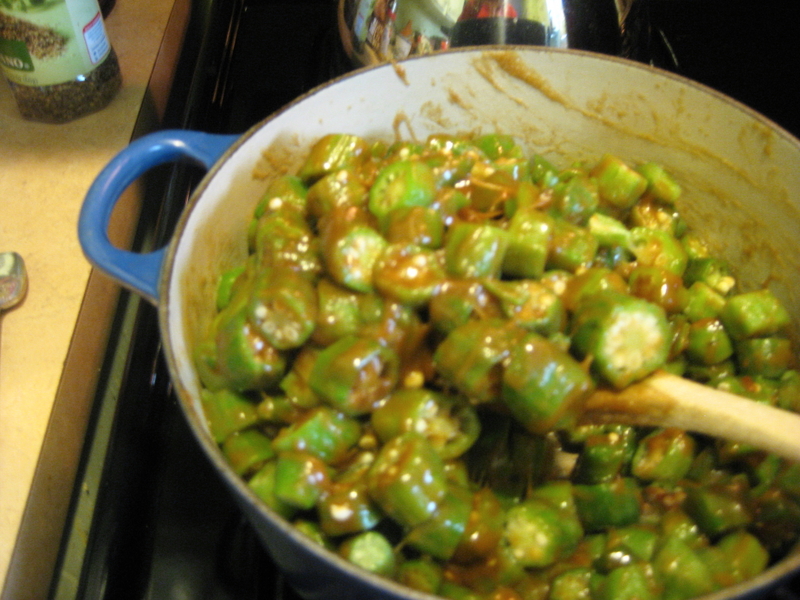 Gumbo reportedly is the African word for okra, so expect to love it, if you don’t already know it. I don’t start my gumbo with a dark roux, although it includes one. This may be locally heretical, but I have my reasons, which I’ll explain later in the recipe. While this recipe looks complicated, it’s mostly about chopping, stirring and tasting. 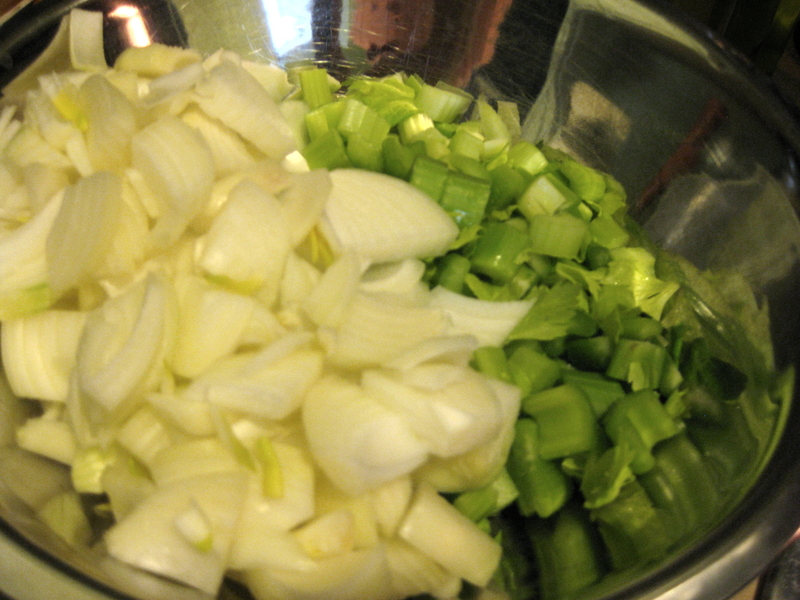 Cooking gumbo is an all-morning or all-afternoon affair. It used to take me all day, but then I discovered I could cool it off in a sink of cold water, which made it quicker to put into storage containers for the refrigerator or freezer. Like red beans and rice, gumbo keeps getting better as the flavors meld. Plan for garlic bread and a salad, if you have time. 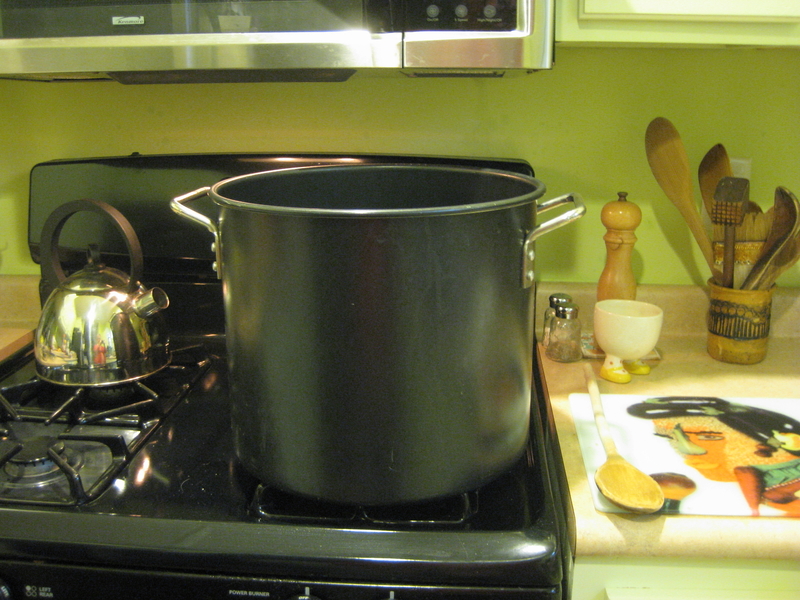 A big, ole pot of gumbo makes about 3 gallons. That’s a lot, so plan to freeze it in quantities that make sense for you, whether it’s individual servings or enough for 3-4 at a time. This recipe is also one of mine that takes periodic taste-testing to add this and that to suit your tastes. In the end, you want lots of flavor, which is a blend of sweet-salty-sour in a juicy broth slightly thickened by your roux and gumbo. 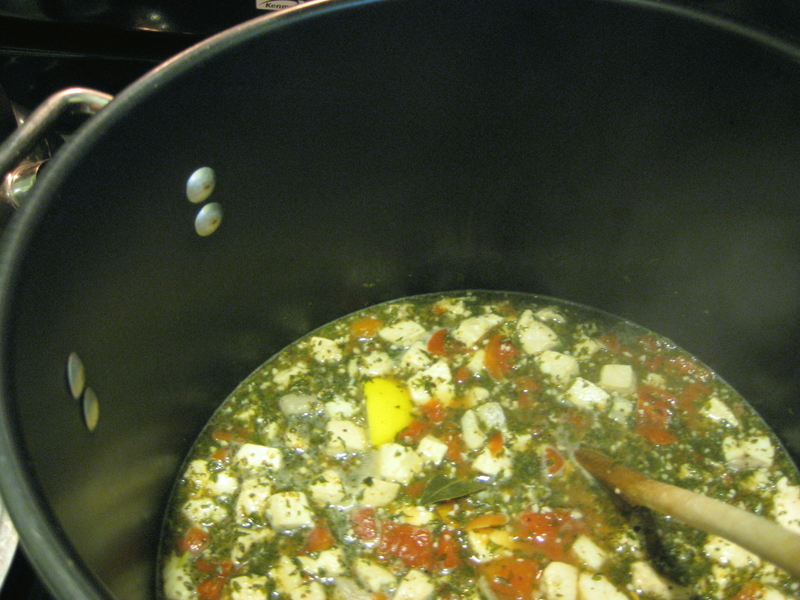 In your gumbo pot, add tomatoes, chicken breasts, diced fish, salt, pepper, chicken broth, garlic, parsley, thyme, oregano, sugar, lemon cut in halves, 1/4 cup vinegar. Heat on medium-high until you get a slow boil going. 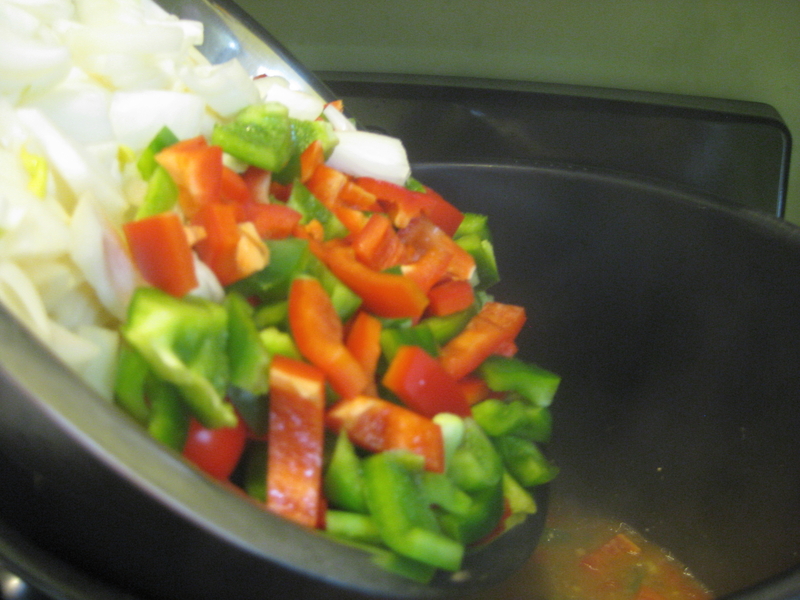 Reduce heat to simmer, cover and cook for an hour, stirring periodically. (Your goal is to get the chicken/fish to start to fall apart. You also are building your flavor base.) Cook 30 minutes. Your pot should be about half-filled now. Wait 30 minutes before you consider more liquid or salt, if you think you need it. Remember, the veggies you just added have liquid in them, and sausage has salt, too. Ultimately, you don’t want a watery or salty gumbo. You want a thick, savory concoction. After your gumbo has cooked these two phases (usually 2 hours to get here), it’s time to start the roux, which is just flour browned in oil. Frankly, this will take longer than you think it should but you don’t want to singe the flour. 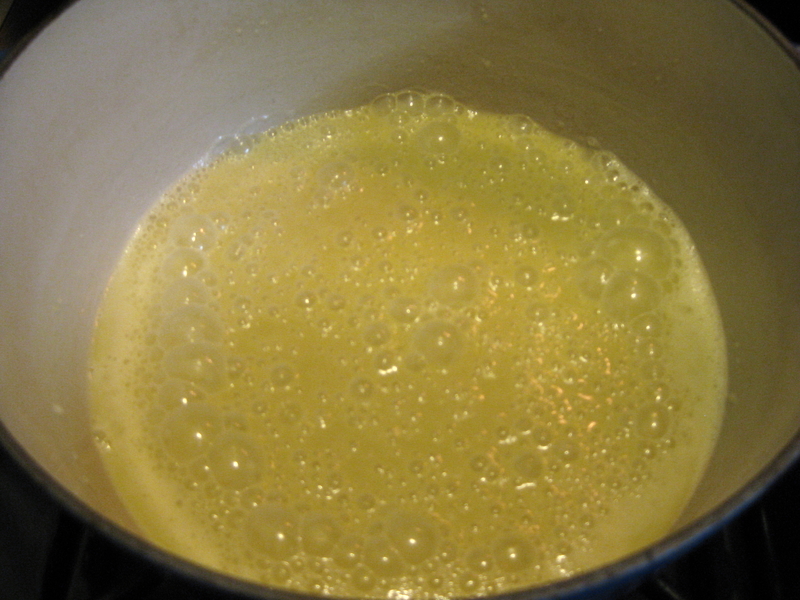 In a separate, large pot like a dutch oven, heat your olive oil at medium-high. You’ll notice after about 10 minutes that the flour starts to smell a little nuttier. That’s good. Your roux should be a coffee-with-cream color at 15 minutes. This is where I turn it off. Some folks like it darker, but I get a little nervous before this happens. Bring the temperature back to a simmer, cover and continue to cook another 15 minutes. Stir every 5 minutes because it’s gotten a lot thicker and you don’t want the roux to stick to the bottom. Add Worchestershire and crab boil. Taste and adjust. 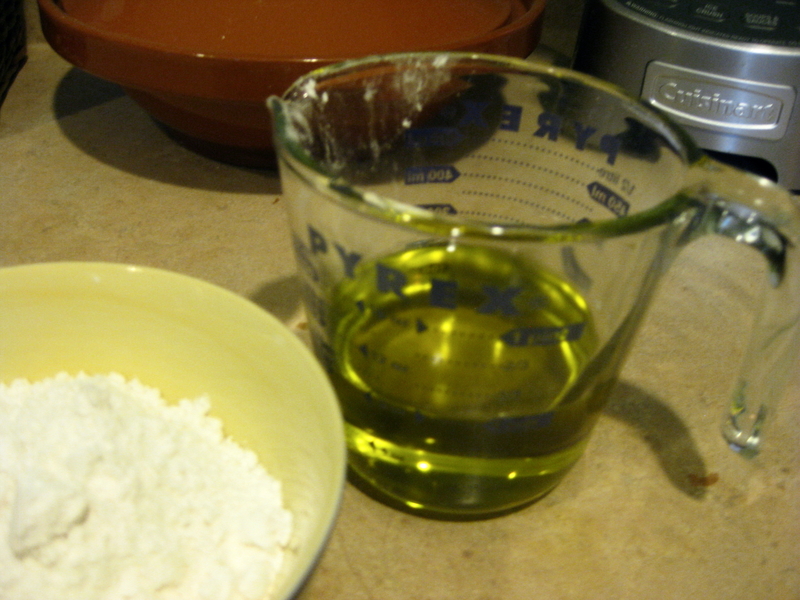 (Often, I add the rest of the vinegar, the other lemon half, salt, black pepper and about 2 tablespoons more sugar.) 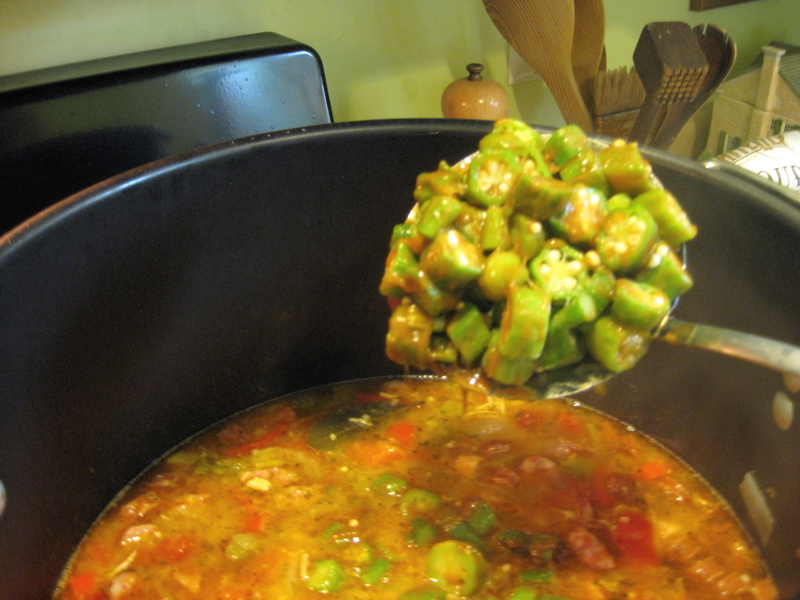 Your gumbo will be ready when the okra is very tender. Don’t worry about overcooking the okra. Turn off the heat. Remove the bay leaves. Start your rice. If you use brown, it will take 30 mins to cook. White rice takes 20 mins. (For white rice, equal quantities of rice/water. 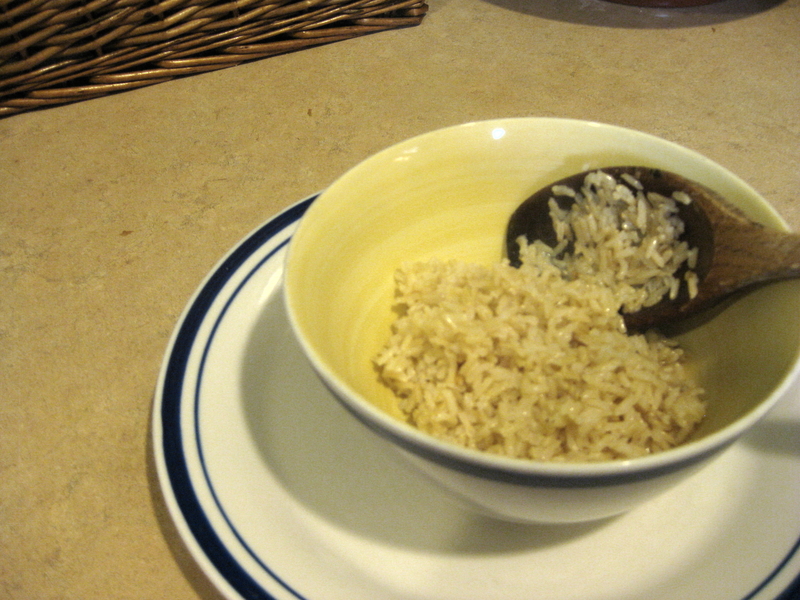 For brown rice, 1 cup rice to 1 3/4 cup water. Package advises too much water and cooking time for my tastes. 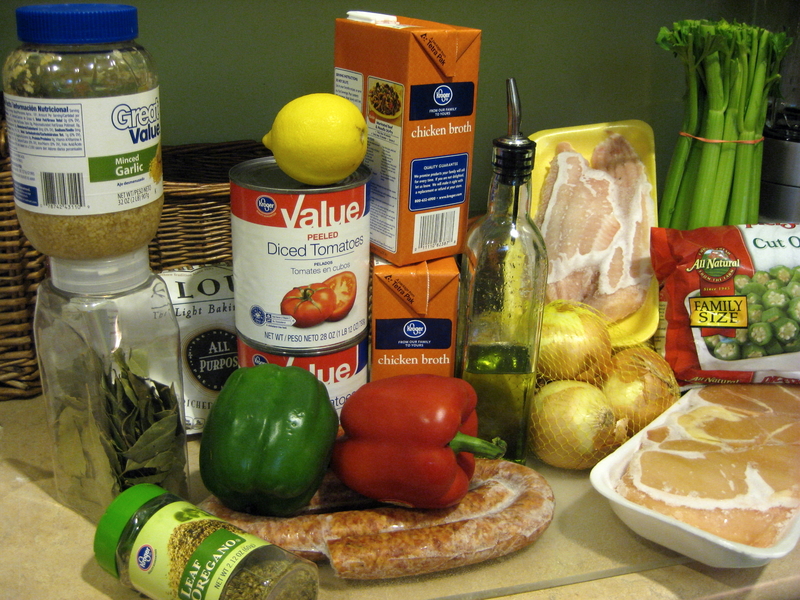 SEAFOOD – If you want to include shrimp or crabmeat, make sure it’s clean/rinsed/de-headed. With shrimp, you should remove the legs but can leave on the shells although it makes eating a little messier. I recommend spending a couple of dollars more for deveined, peeled shrimp. Once your gumbo is ready in all other ways, it’s time to add the seafood, which cooks very quickly, in just a few minutes. When the shrimp is pink and opaque, it’s ready – 3-4 minutes. Crabmeat happens even faster. When you decide your gumbo is ready, serve it in a hearty bowl on top of a small amount of rice, like 1/3 to 1/2 cup of rice. 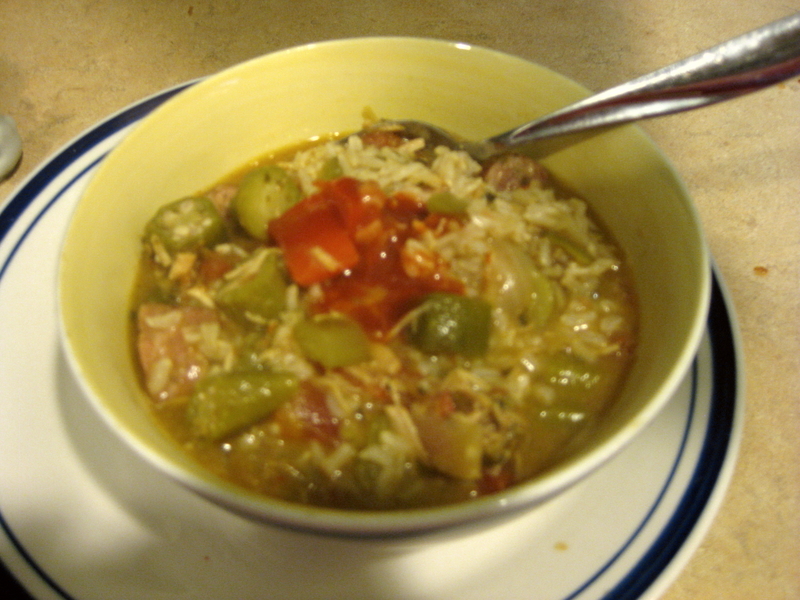 Gumbo is different from red beans, which you serve over about an equal amount of rice. Top gumbo with extra sprinkle of gumbo file’, which is powdered sassafras leaves. Tabasco to taste. Garlic bread is essential. Green salad can make it a complete offering. Do what you have time to do. Carefully place your heavy, hot gumbo pot into the kitchen sink. Fill sink with cold water, which will begin to bring down temperature of gumbo. Over about 20 minutes, you may need to empty your sink and add cooler water three to four more times. Stirring gumbo also helps. I like to place the cooled gumbo pot directly into the refrigerator. The next day, I take it out and with a large metal spoon or strainer, carefully lift off the congealed sausage oil, which will have risen to the top. I think it’s just a healthier dish by doing this, and I don’t think it takes away any flavor from the gumbo. At this stage, leave enough gumbo in a refrigerated container for your immediate consumption. Freeze the rest in containers or freezer bags for sizes appropriate for your personal use. 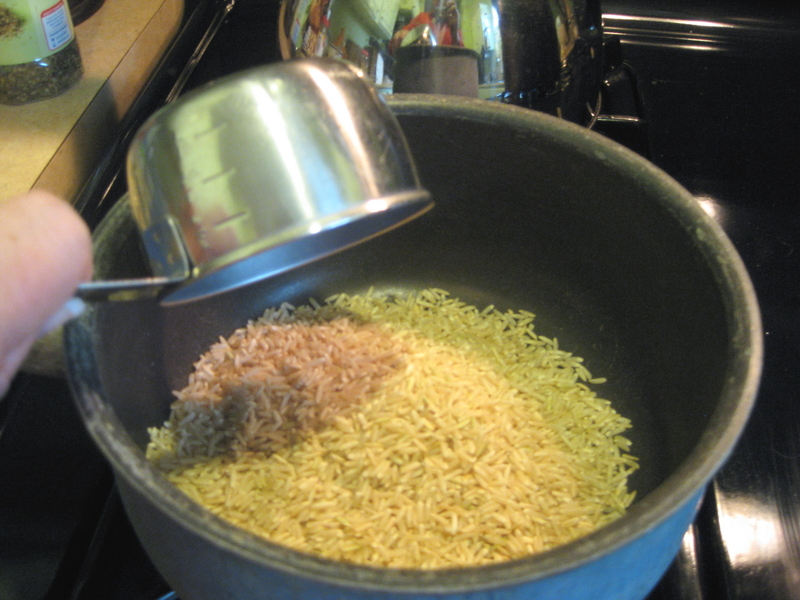 Rice can also be included in personal quantities to make re-heating a lot quicker. Otherwise, rice doesn’t keep very well in the refrigerator or freezer. 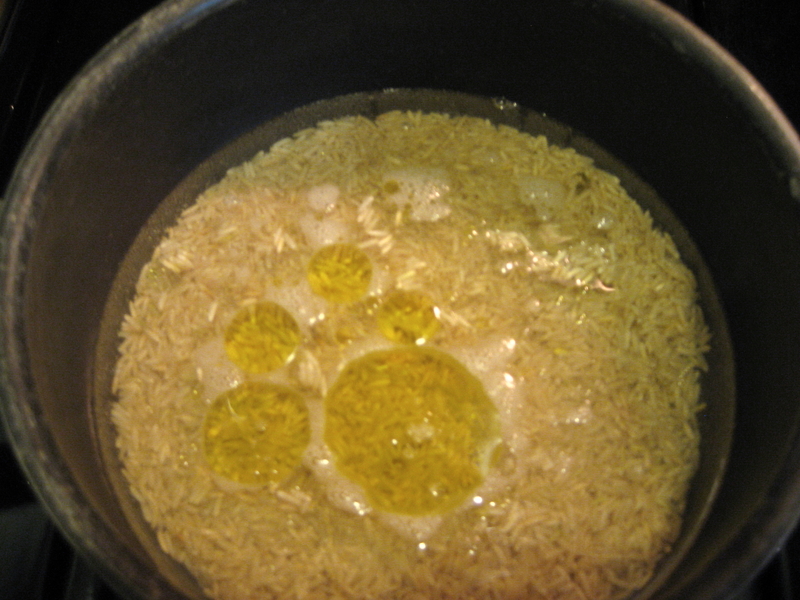 Start afresh with cooking rice, if you’re going to warm up more than one serving. Boo to okra slime! I’ve never made gumbo, but this recipes makes me want to. 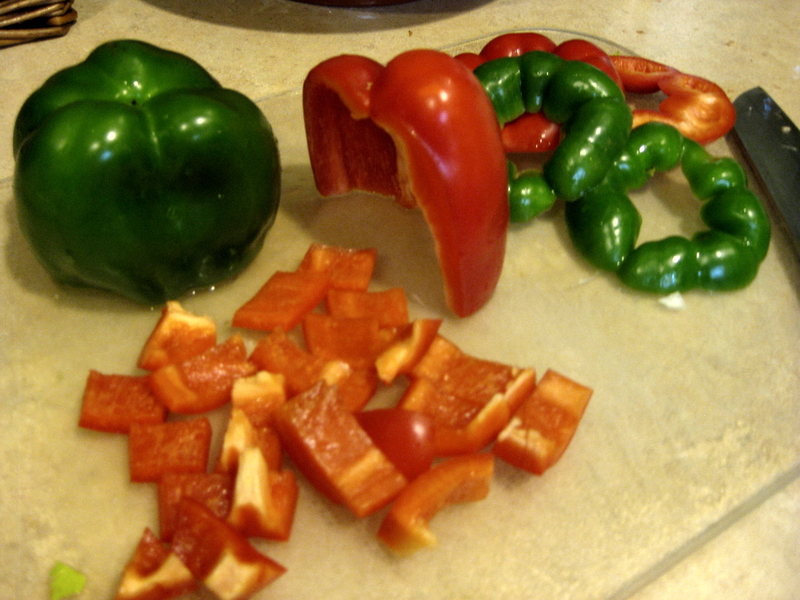 I’m allergic to bell peppers so if I make it at home, I could actually eat it. BTW, I see you are from Crystal Springs. My husband’s family lives there. We visit often. Good vendors at the Tomato Festival. Carolyn, thanks for your interest. Frozen, cut okra is the greatest. I’ve never have an problems with “slime,” so perhaps there’s something else good going on with this recipe. Glad to know about the WWP points! Don’t waste your time! This is the worst recipe I have ever seen. It is a mockery to New Orleans natives…an appropriation of our culture in the worst kind. Clearly you no nothing about gumbo given the miss guided ingredients! That sounds really good, I have made many big pots of gumbo, I was making the roux to begin with, but my kids didn’t care for the okra. So I thought, ok Ill fix them, and started to blend the okra up before i put it in the pot, well no more complaints from the kids and I quit making the roux because the blended okra really thickened up the pot, by the way, I had a 20 quart canning pot I almost completely filled up with the gumbo, chicken, sausage, whole crabs, oysters, and shrimp, but not fish, my husband was a oysterman down in bayou la batre, off dauphin island…The blended okra worked really well, I didn’t put hardly any gumbo file in it either. The whole clan loved it. But I am going to try your recipe. Don’t waste your time! This is the worst recipe I have ever seen. It is a mockery to New Orleans natives…an appropriation of our culture in the worst kind. Clearly you know nothing about gumbo given the misguided ingredients! Worst and most incorrect gumbo recipe EVER!!!! EVER!!! This is NOT how to cook gumbo like a New Orleans native and I’m insulted that you’ve said so. We take our gumbo very seriously in New Orleans and until you get it right, please don’t call this concoction “gumbo”. And another thing, Africa is a CONTINENT with THOUSANDS of languages and a little over 50 countries!!! Saying “gumbo is an African word for okra” is like saying “bonjour” is a European word for “good day”!!! Really? So this is the way “good day” is said all over the continent of Europe…in Italy, Russia, Germany, Poland, Greece…REALLY? Try again! While this may be a perfectly fine soup, it is most definitely NOT a New Orleans gumbo. As a New Orleans native myself and an avid cook, please NEVER put tomatoes in gumbo. I’m not sure why the outside world insists on this. Same goes for fish, lemon, vinegar–all blasphemy.